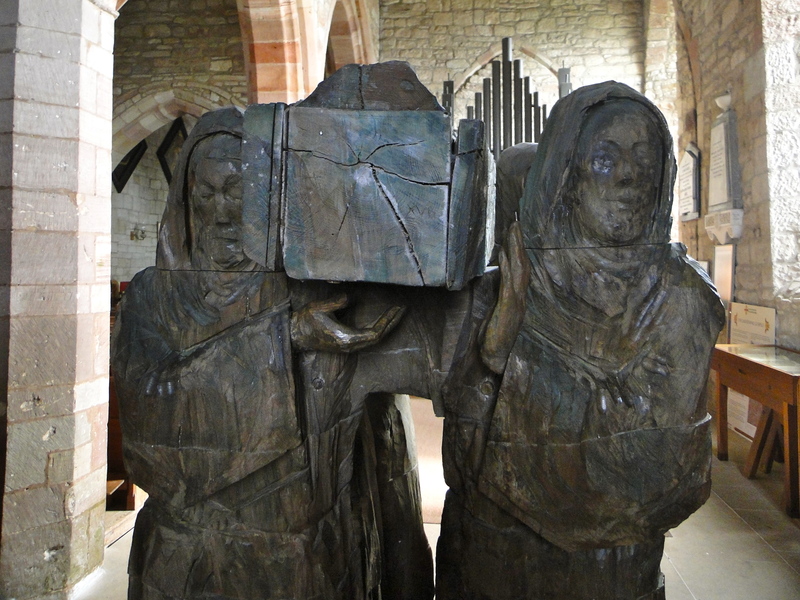 The church is next to the Priory (we’ll blog that next), and once inside (good disabled ramp) we are greeted by Fenwick Lawson’s statue of the carrying of Cuthbert’s coffin – they went via Elsdon, Corsenside (remembering two churches I’ve blogged) and ended up in Durham. There is a bronze version of the statue in Millennium Square in Durham, installed in 2008, I assume this wooden one was the original. Finding www.fenwicklawson.co.uk it tells me that the Lindisfarne one is dated 1999 (and he can’t spell “Millennium”). 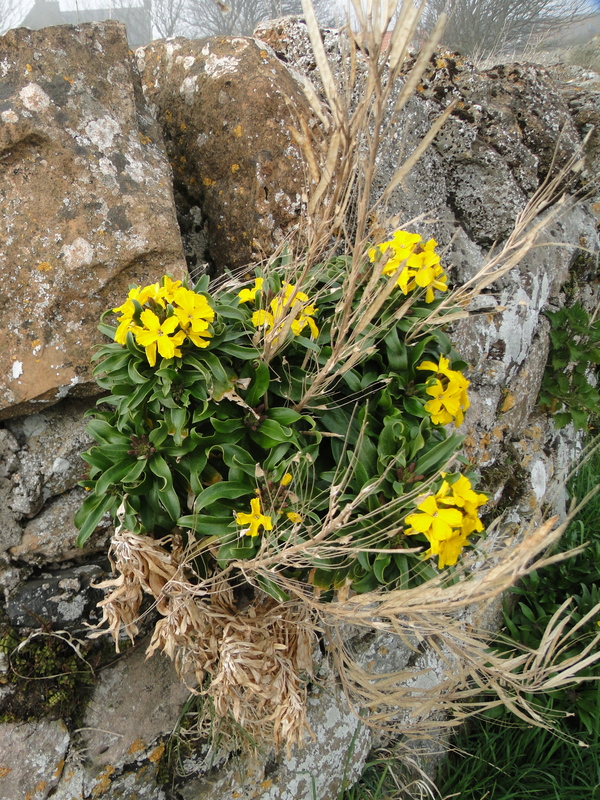 Nice gallery on the website of his other work. The East Window is 1883 by Mayer of Munich. According to Wikipedia, they were the stained glass window suppliers to the Holy See (do you get “By appointment to the Pope” on the back of your van?) 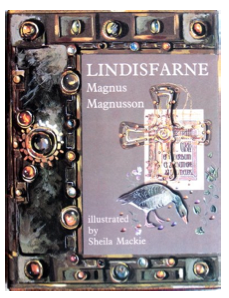 – Lindisfarne isn’t mentioned in Wikipedia list of their glass. 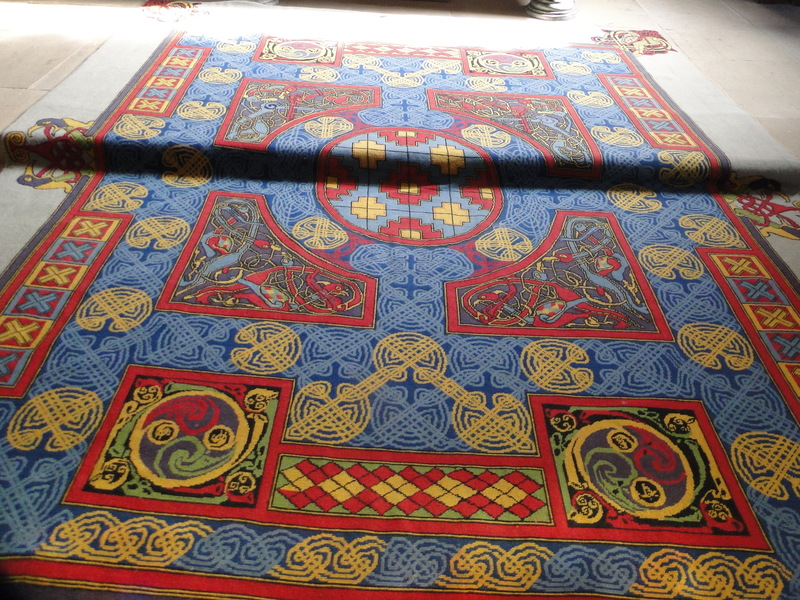 I liked the Celtic design in the sanctuary carpet – good photos at www.flickr.com/photos/thorskegga/sets/72157620493081606/detail/. 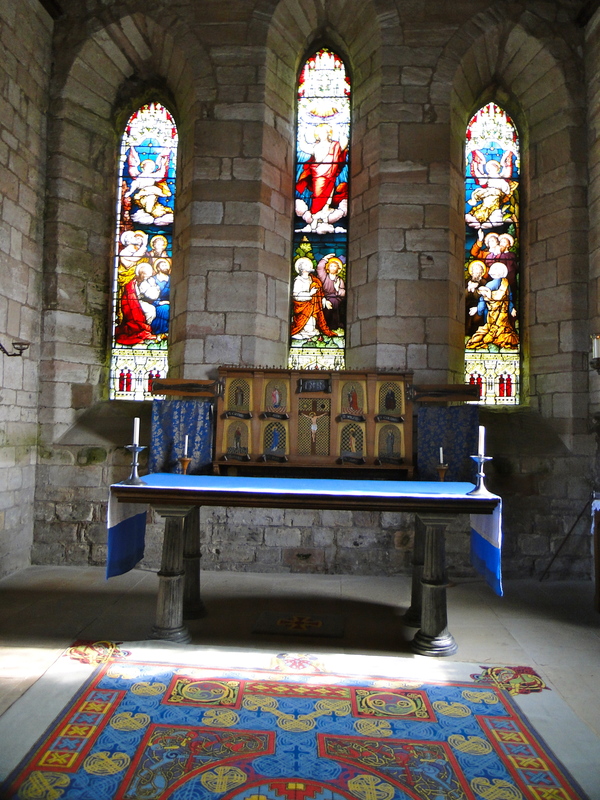 Two lovely Evetts windows (Cuthbert on the left, Aidan on the right). 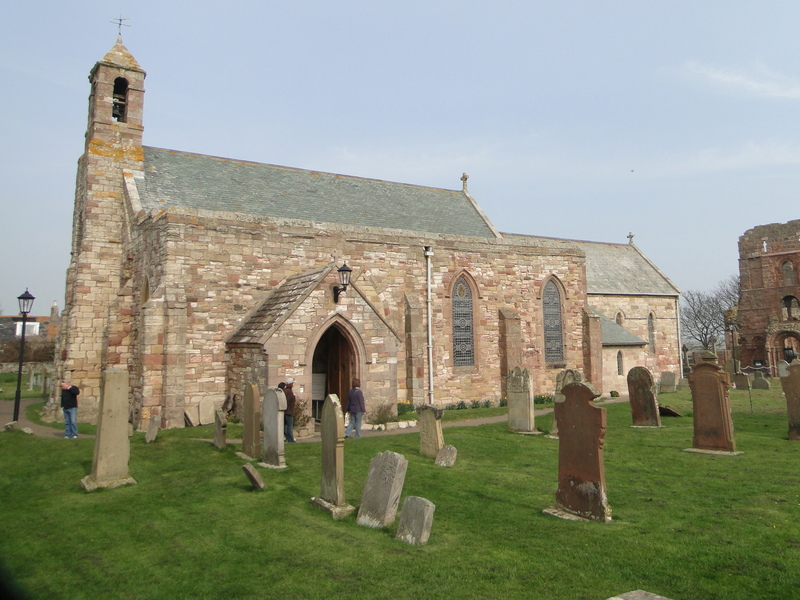 A busy church with lots of visitors. 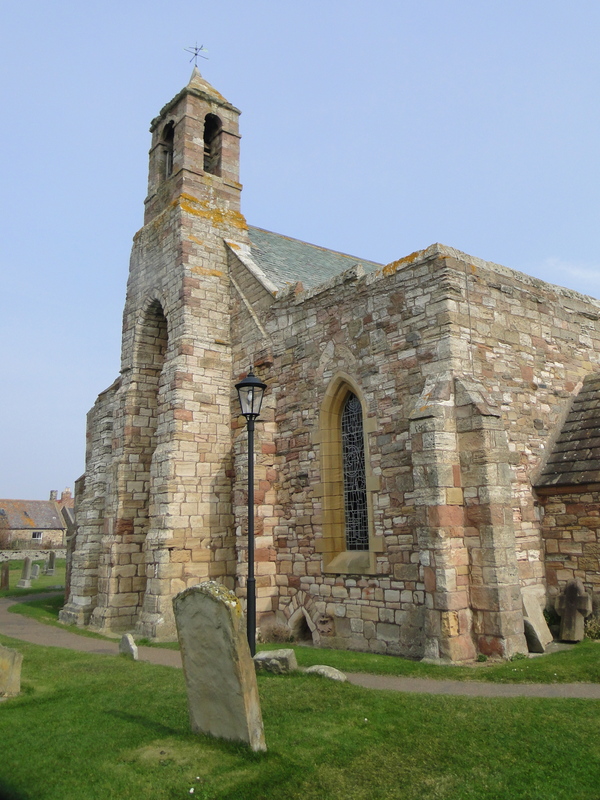 I photoed a bit more, and went on to the Priory. 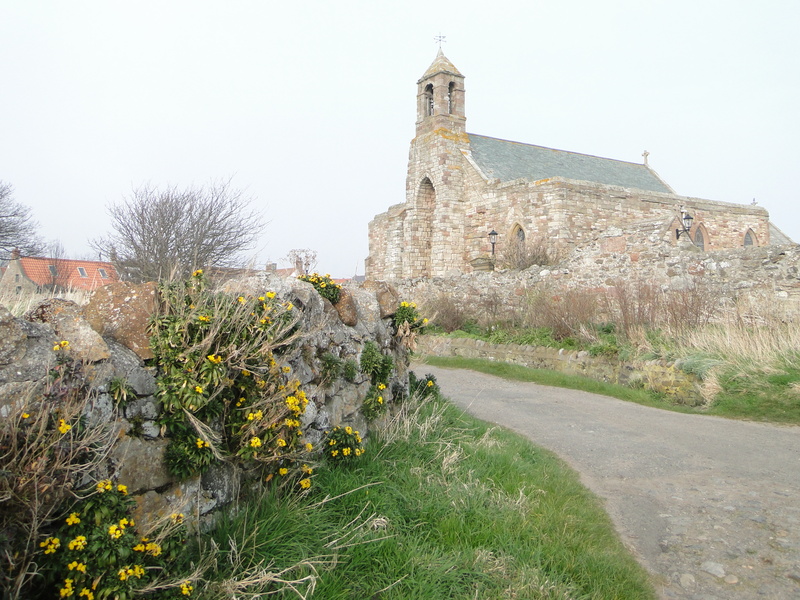 Later in the day, when the fog was thicker we walked down to the sea beside the church, and enjoyed the wallflowers. 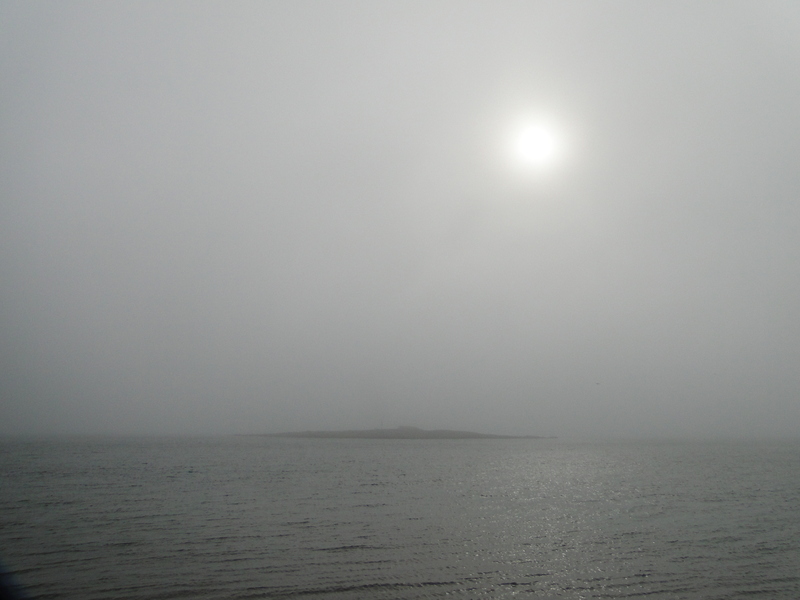 We looked across to St Cuthbert’s Island – where there is a medieval chapel I need to visit (when the tide is out).